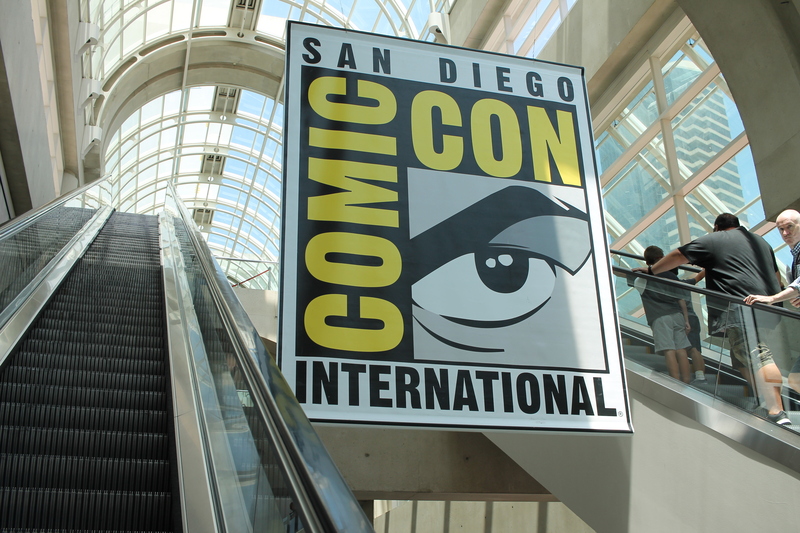 Last week, I was again attended the San Diego Comic Con, again. Such was my 23rd year, as I look forward to all that is great of this continuous show. I love nearly everything about this convergence of pop-culture geekness, the fandom dedications in many forms, the awesome presentations of art and literature in many forms. 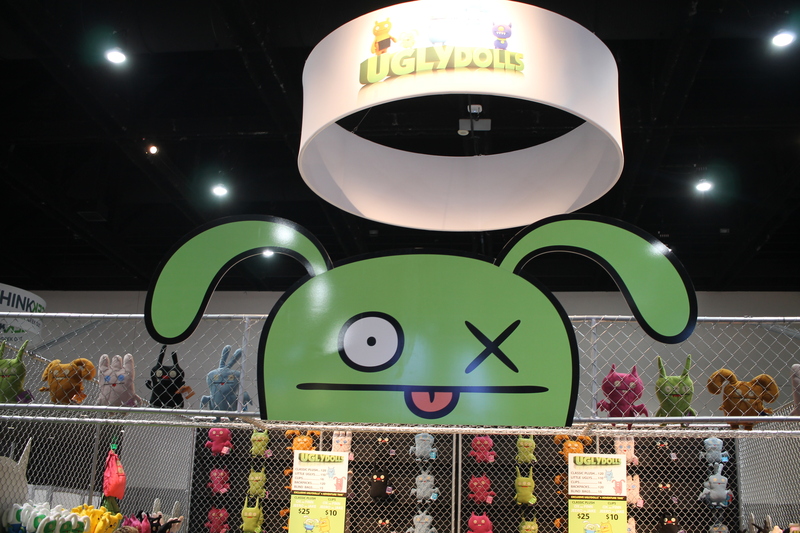 There is also the abundance of merch, swag, and interesting experiences; much of which involves long lines. There is much more to say, especially of this year. Of that, I share the following in pictures and notes across multiple postings. The first round starts below, detailing initial impressions of the Exhibit Hall. 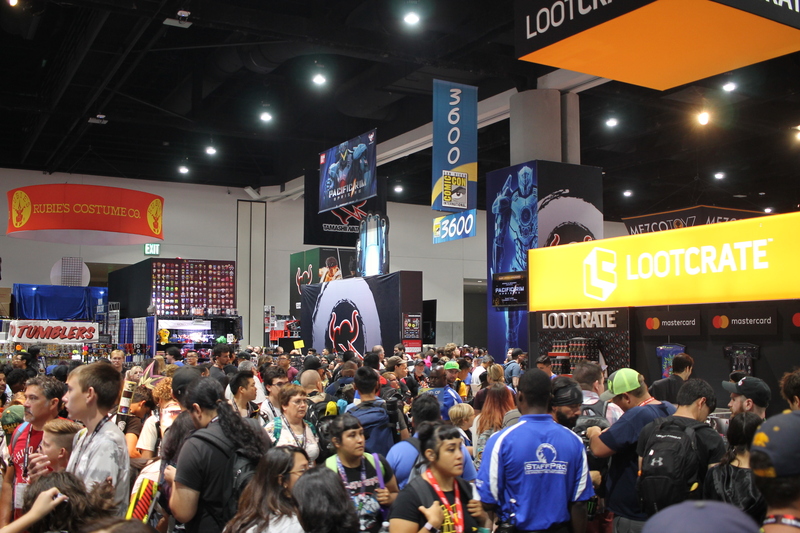 Welcome to the Exhibit Hall, where the crowds are ridiculous around the big production booths, for those with the promise of exclusives, swag, and celeb sightings. 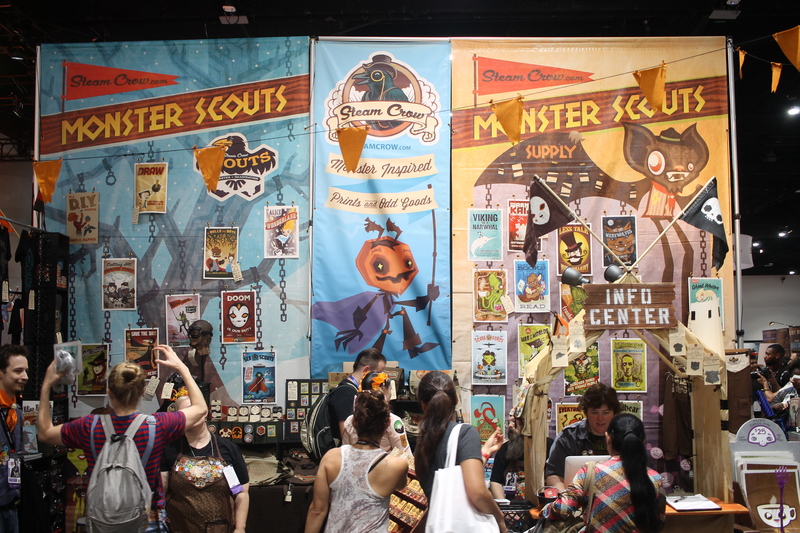 First off, one of many booths in the center of the Exhibit Hall, sadly having not much to do with comic books. 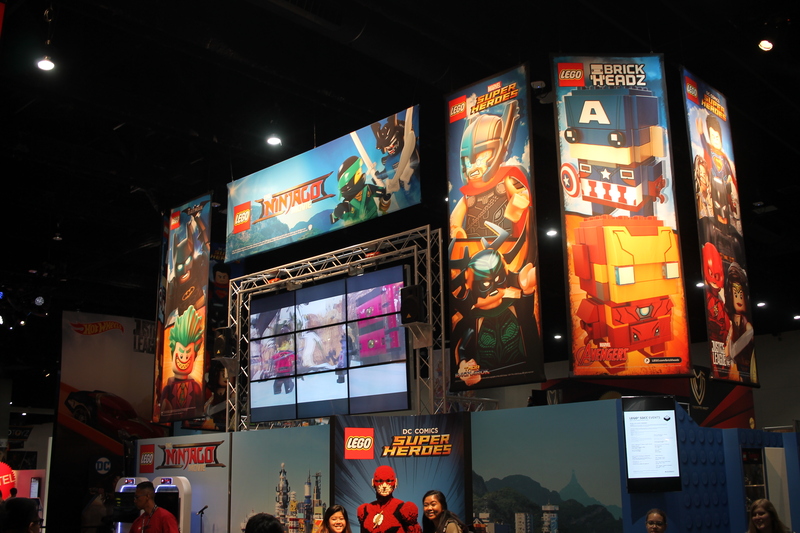 I do like Legos, and their giant screen does help bring attention, so YAY! 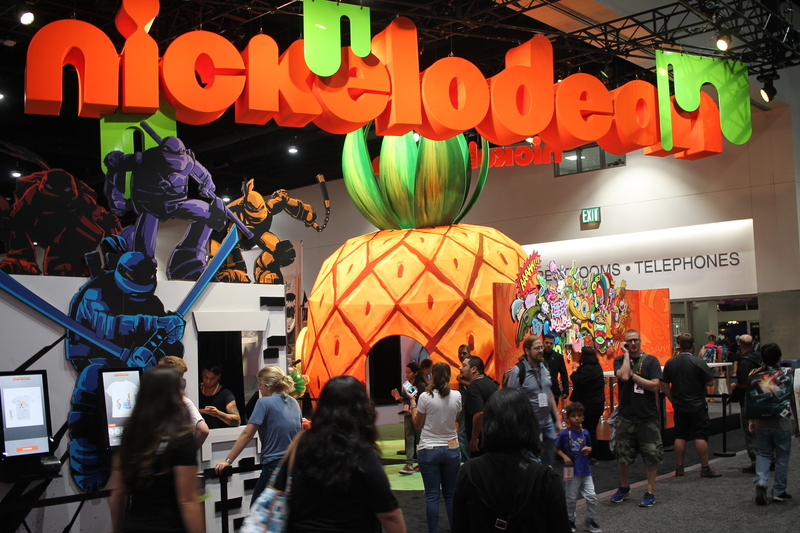 The Nickelodeon booth, which gets major props for making each year’s display different and very creative. 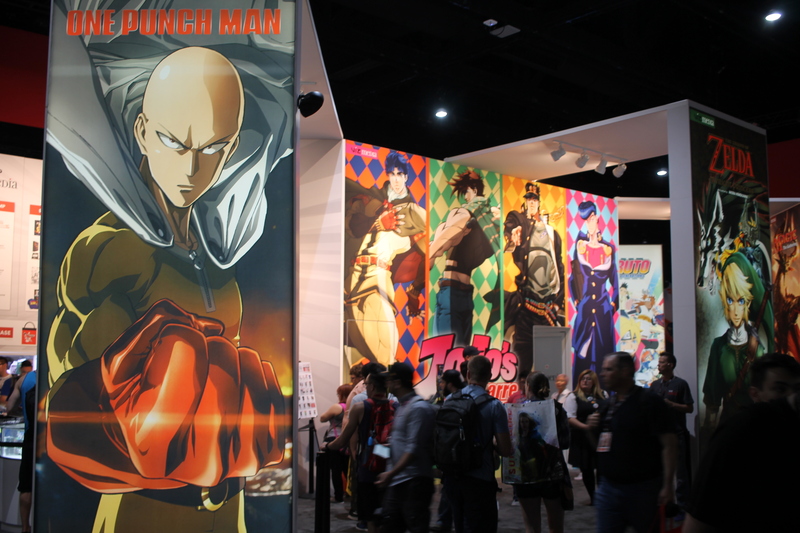 The Viz Comics booth, which I think is the last standing of the great primarily manga publishers to have a huge presence at Comic Con. 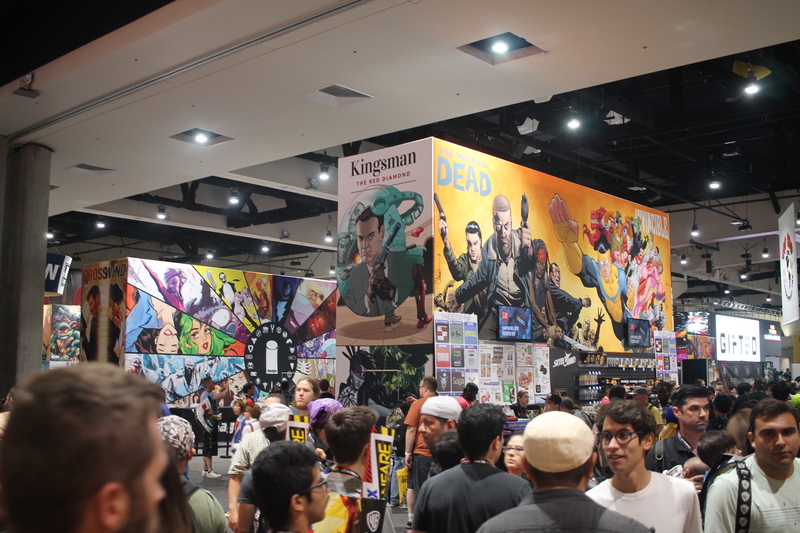 The Image Comics booth, my favorite publisher of modern times. The company still commands a huge presence, sticking to its creators and the original content they bring to the show. 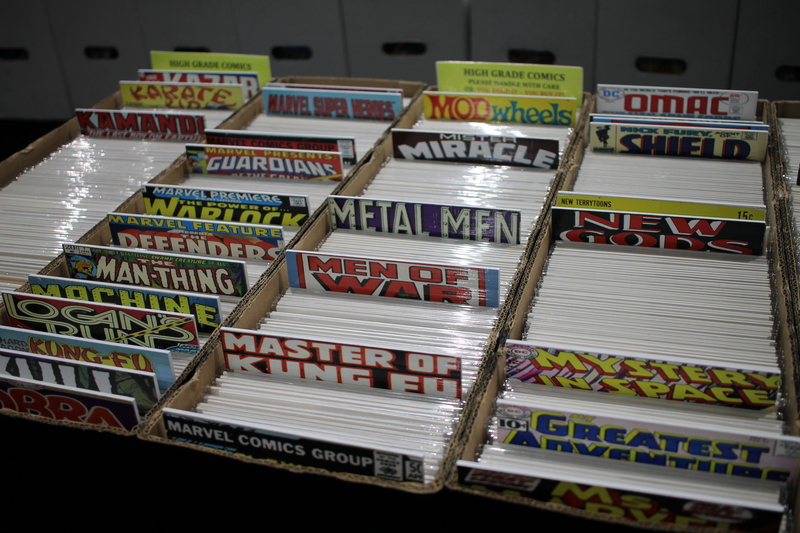 The Marvel Comics Booth, sadly not adverting much on its comics. But, you will hear much on the movies and TV shows from it here. I am looking forward to Blank Panther. 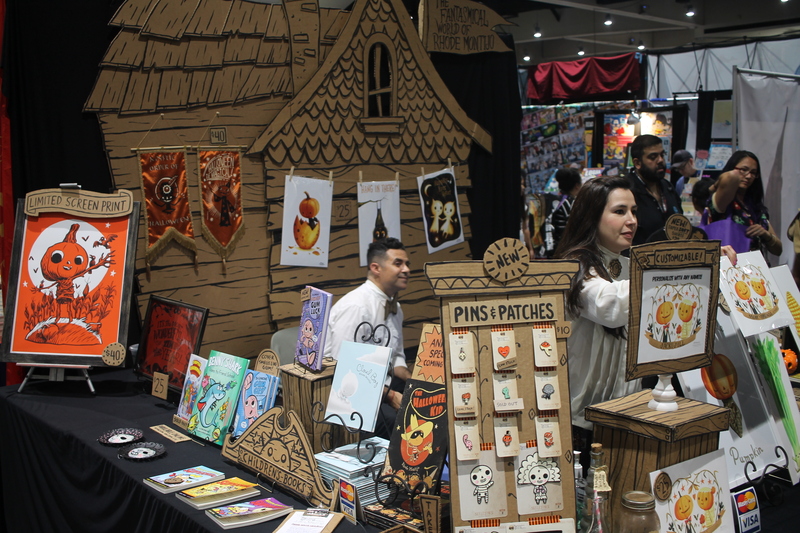 The Fantastical World of Rhode Montijo booth. I like its style, and proof that a creative presentation can make a great impression. 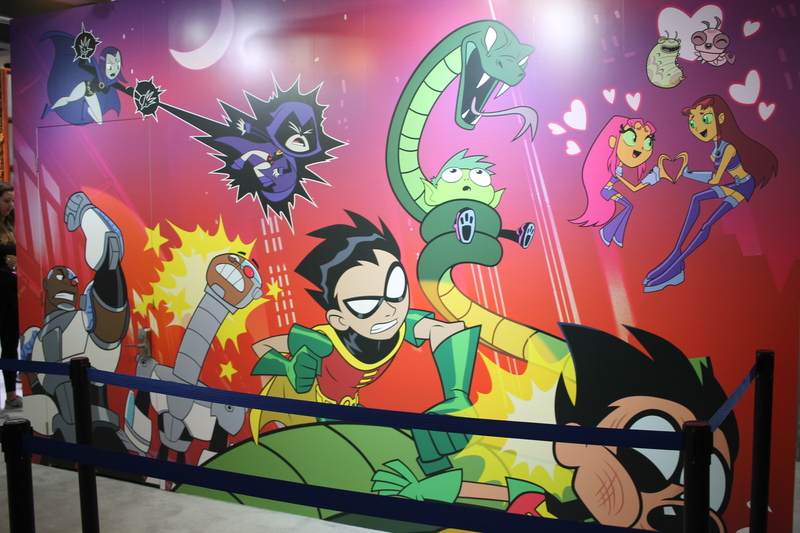 A Teen Titans mural at the Warner Bros booth, when not covered by a massive line. 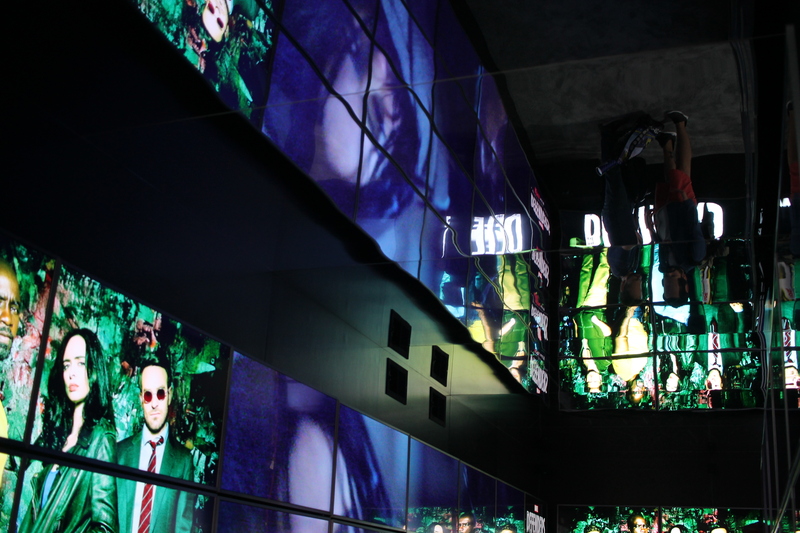 The Netflix booth, being a bit questionable in its presentation. 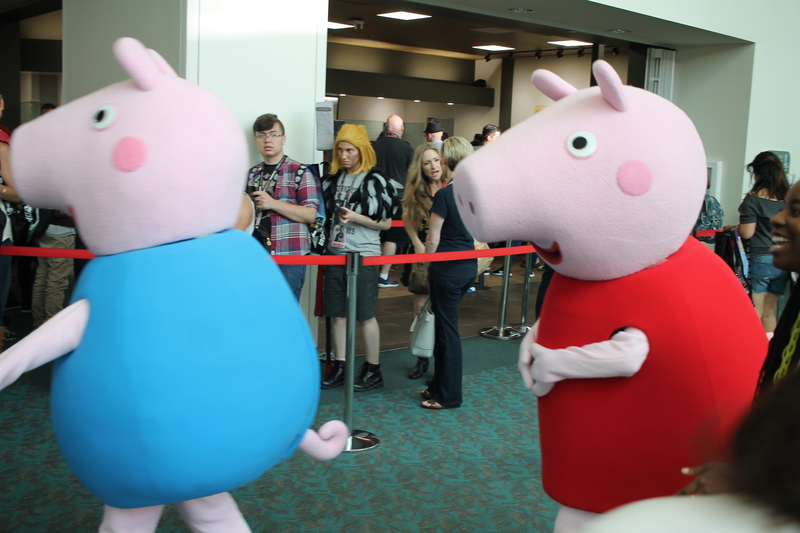 One walks through the corridor after a long line. Walk through some vague imagery and trailers for upcoming shows, then collect some swag you will likely not need in life. 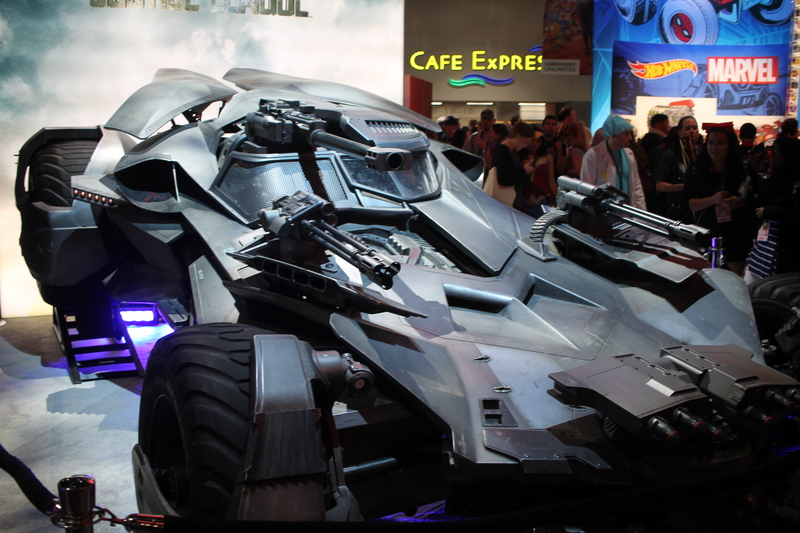 The Mattel booth, supporting the new Batmobile in life-sized form, from the recent DCU movies, and the Justice League upcoming. 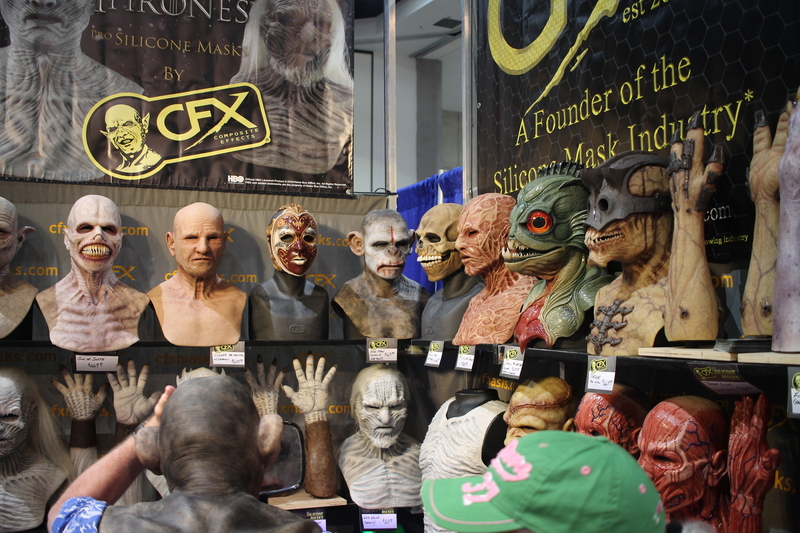 The CFX booth, with some awesome (and pricy) masks for sale. 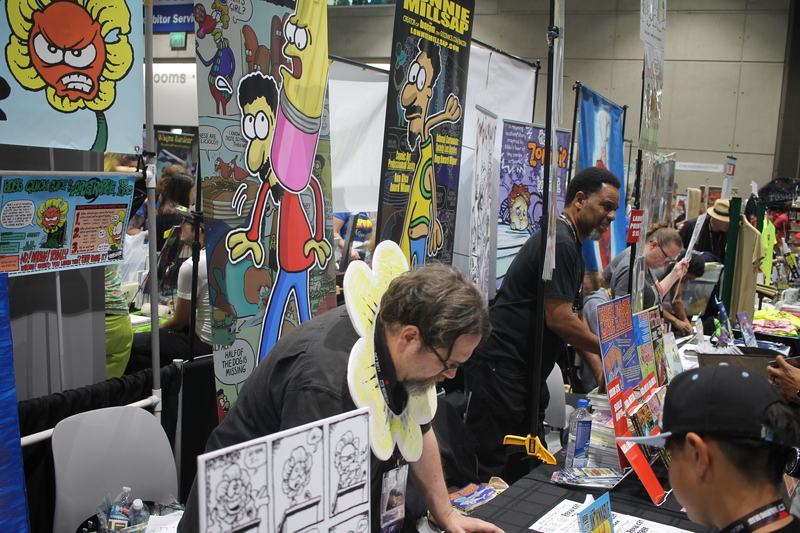 The small press area, still the most genuine of spots for those looking for a true Comic Con experience, where you discover something new directly from the creative source. 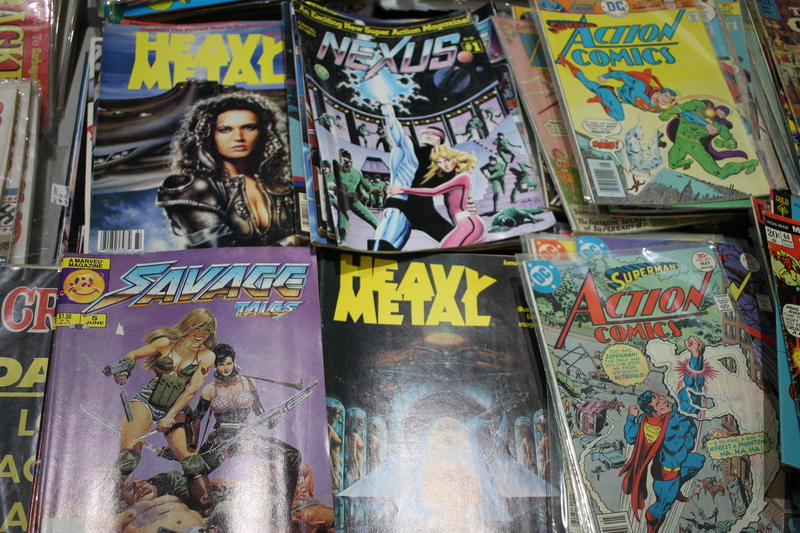 Woah, comic books at a comic book convention!! 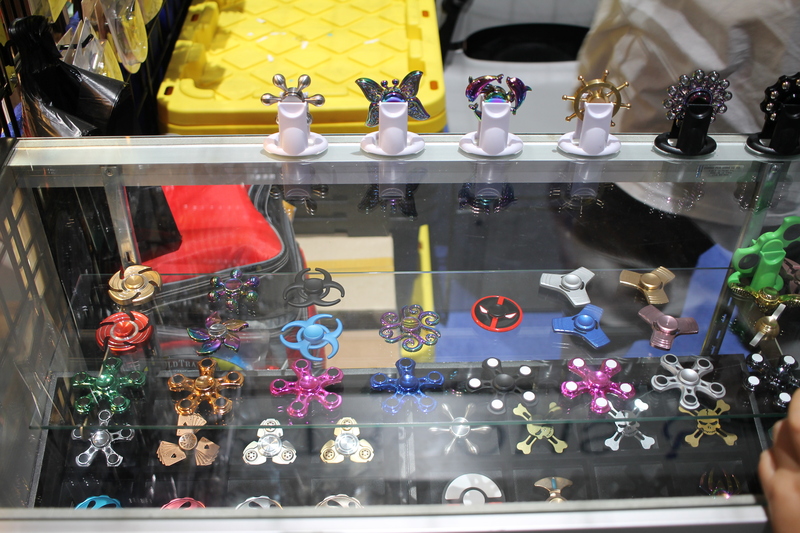 Sadly, areas with these for sale by merchants are the least crowded of the Exhibit Hall. There is a lot of buried treasure within. 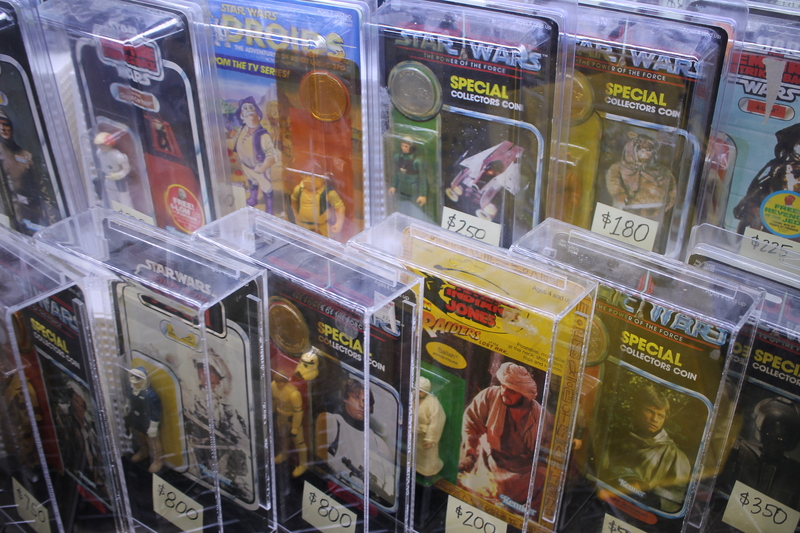 Some of which I will share later..
That’s all for now. 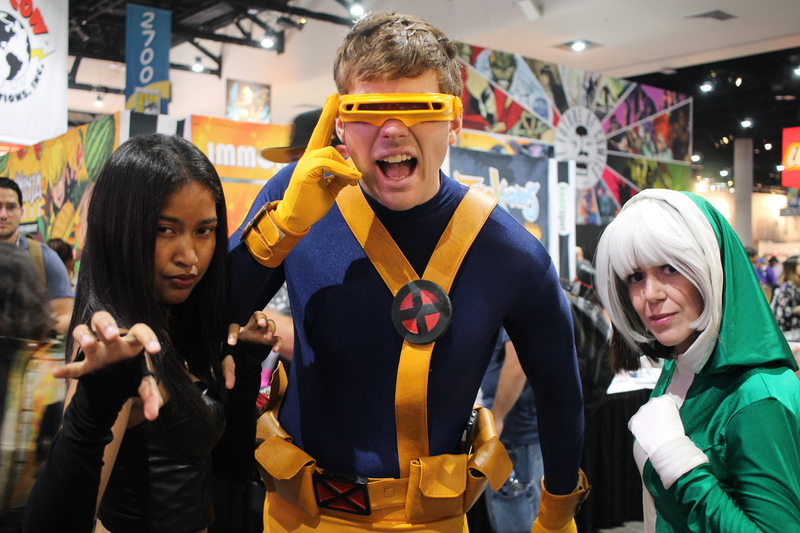 Here, we have another great part of the show…cosplayers!! 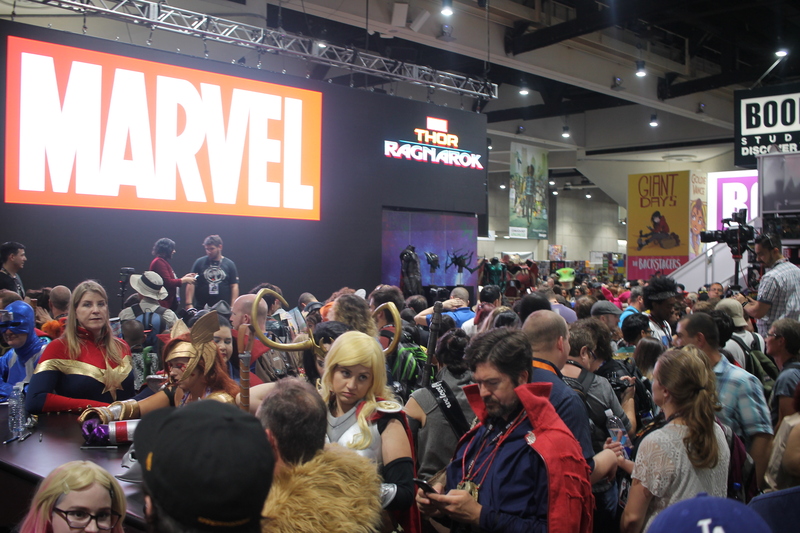 Next part, we shall turn away from the stands and toward the attendees who dress up and showcase pop-culture favorites (and some obscurities).